Medical facility administrators are looking at innovative, cost-effective ways to provide patients high-quality care with an eye toward productivity. For academic medical facilities where clinical care and teaching combine to serve a broad patient population, that challenge can be significant. One place where that challenge is being put to the test is Temple University Health System (TUHS), a $1.6 billion academic health care network based in Philadelphia. In an agreement with GE Healthcare, TUHS will receive radiologic imaging equipment and services over a seven-year period intended to help the medical facility update its radiology offerings and improve workflow efficiencies—at a reduced cost. Both GE Healthcare and TUHS see this agreement as a pioneering "risk collaboration" between a heath care technology company and an academic medical center. The deal's terms align incentives in the form of performance goals achieved by implementing new technology and adopting best practices that go along with the latest equipment. The agreement projects $39 million in operational savings for TUHS and links some payment to achieving them. "As partners, each party involved has skin in the game through incentives," says Clifford Belden, MD, MS, chair of the Temple University Hospital department of radiology and radiologist in chief of TUHS. "The beauty of this agreement is that results matter." Outcomes, rather than the individual consulting services or new equipment, are the focus in this agreement, according to John McCarthy, GE Healthcare's general manager for radiology services. "The added component in this agreement is that the goals of the vendor and the buyer are combined," McCarthy says. "Here, both parties are rewarded for meeting goals." According to Belden, this agreement is also unique in that it integrates the need for equipment renewal on a regular timetable, rather than on an "as-needed" basis. "The typical agreement between a vendor and an academic medical center involves purchasing one piece of equipment at a time via a request for proposal," Belden says. "With the typical business model, you may receive preferred pricing, but for one piece of equipment at a time. However, with this agreement with GE Healthcare, we gain the benefit of incorporating new equipment on a scheduled time frame, funded partially through efficiency savings." Incentives in this outcomes-based agreement are based on ordering the right imaging exam for the right situation. McCarthy says that achieving cost-savings goals requires an analysis of process intelligence such as patient volumes, the exams being ordered, and the medical conditions for which imaging is being utilized. "An agreement like this incentivizes both parties to promote value," he says. "Both parties are rewarded as they work to lower costs, improve patient care, and increase the overall quality of service." The agreement also calls for TUHS to receive technology enhancements including data storage and retrieval, and for service contract consolidation. Arms of the agreement include TUHS' main campus, Northeastern campus, Episcopal campus, Jeanes Hospital, and Fox Chase Cancer Center. "Partnering with GE gives us embedded resources throughout the system that will help enable us to improve quality of care and efficiencies in service, and manage new equipment planning," Belden says. "Our focus is on having the imaging equipment and services our patients and clinical teams need, when they need it." Belden sees value in being a predominantly one-vendor medical center, where the goal is increased efficiencies. Using one manufacturer for new equipment creates a sense of seamless integration throughout the entire health care system. And, with increased efficiencies come cost savings for the medical center and its patients, he says. "When you have equipment from several vendors in one department you lose efficiency due to a lack of continuity," Belden says. "Migrating our tools to one system can create efficiencies through standardization. Partnering with GE to deliver on the efficiency gains in turn helps fund the equipment purchases. And if our cost to conduct MRIs or CT scans goes down, ultimately we can pass along those reduced costs to our patients." Helping TUHS meet its goals will be GE Healthcare's "boots on the ground" approach, McCarthy says, bringing with their presence the business experience that comes from operating a large medical technology company. "Not only can our people help teach people to use this new equipment, we can relay best business practices that will help Temple incorporate this new equipment in the most efficient way possible, especially in today's health care environment," McCarthy says. Belden says GE Healthcare personnel are already at his facility, working alongside Temple staff members. They will continue to work together throughout the length of the contract on service, installation, and overall project management. "Working with GE Healthcare feels more like a partnership and less like a typical vendor relationship," Belden says. "GE people are working on the same goals that we are." McCarthy says that GE Healthcare cocreated this risk-based business model with TUHS, keeping the facility's challenges in mind. While the system consists of nationally renowned programs in transplantation, oncology, cardiac services, pulmonary care, and gastroenterology, and a comprehensive cancer treatment center, it also serves a community within the city of Philadelphia that can't always afford medical care. Therein lies the TUHS challenge. "Medical centers like Temple face the challenge of operating as an academic medical center and a 'safety net' providing medical care to a low-income and uninsured population," McCarthy says. "They face economic challenges, with reimbursement rates that make it difficult to raise the capital to invest in new equipment." McCarthy adds that this agreement is unique to TUHS' needs and doesn't follow any previously instituted risk-sharing agreements in the industry. "We looked at Temple's needs and worked on an agreement that would help solve the problems they had acquiring new equipment," he says. "What we did for Temple is the Temple deal. What we would do for another hospital would be based on that hospital's needs." Since the majority of the Affordable Care Act (ACA) reforms took effect in January 2014, medical centers have experienced increased pressure to enhance value by delivering higher quality services at a lower cost. Simultaneously, they continue to face challenges related to things like outcomes, cost control, and market competition. Industry analysts are starting to see medical centers and manufacturers, like TUHS and GE Healthcare, coming together to create collaborative risk-sharing solutions. 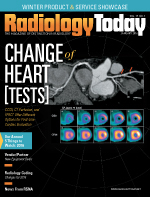 "While hospitals are working to reduce costs, it's important to keep up the standard of care among all the imaging modalities," says Matthew Morrill, a consultant who works with the oncology and imaging team of The Advisory Board Company, a Washington, D.C.-based consultancy that serves the health care and higher education industries. "One solution that can benefit providers is these types of collaborative agreements." However, a potential down side Morrill sees to a vendor/medical center agreement is the lack of choice when it comes to selecting imaging equipment. "The hospital is giving all imaging spending control to one vendor," he says. "There could be a risk to that." Another fact possibly driving medical centers and manufacturers to join forces is the effect of reimbursement issues on the health care financial environment. Brandi Greenberg, managing director of research and insights at The Advisory Board Company, says that while parties may be aligning goals on paper, they may not always follow through in a like-minded manner. "When we survey vendors and hospital purchasing leaders, they all say they're open to greater collaboration. But both sides don't necessarily know what to look for in a good partner or how to make the partnership work," she says. "It's much harder than it seems. Questions arise, such as how to track and analyze the necessary data, how to share the risk, who should manage the process, and how best to monitor the process. I've heard of deals breaking down because the parties can't align around these issues. There needs to be an element of trust. And both parties have to be willing to invest the time and effort to make the partnership work." Greenberg says she is aware of other risk-sharing agreements between vendors and health care providers. Part of the process in establishing more collaborative efforts like this involves defining what it actually means to share risks, she says. "As more organizations start to figure out a template for solving the problem of how to best share risks in health care, we may see more agreements like this," she says. However, the risk-sharing trend isn't one Greenberg sees as replacing the vast majority of other business models in the medium term. "I'm skeptical that within five years this is where all deals will be going," she says. "There's so much uncertainty. Organizations will need to be in the right mindset to look at vendors as partners. It all goes back to trust." While questions remain among industry experts regarding the benefit of vendor/medical center risk-sharing agreements, there is an overall belief that finding innovative ways to approach cost management and quality of care will be vital to successfully navigating through the effects of ACA reforms. "Experimentation and innovation in this space is good. Such has not always been the case," says Douglas Smith, FRBMA, managing partner of strategic positioning and consulting solutions for Integrated Medical Partners in Milwaukee. "We are seeing a number of very strong collaborative initiatives among hospitals, their radiologist leaders, their medical staff leaders, and with selected vendor-partners, all with a voice at the table, all accountable for results along the same, or similar objectives as the GE/TUHS initiatives, but outside of the shared-savings model. Initiatives by some forward-thinking participants in this space include innovative collaborative efforts across the enterprise and throughout the continuum of care designed to shrink the installed base, narrow the vendor list, improve effective utilization of assets, decrease unnecessary and inappropriate imaging, improve workflow, move the right study to the right subspecialist at the right time, improve patient safety, extend the useful life of assets, decrease medical imaging life cycle costs, decrease capital outlays, and demonstrate value to the populations of patients served. We will learn what works best. What we do know is that this must be a team sport in order to be successful." He adds that the industry is in the early phases of consolidation, but that questions remain regarding how to measure and demonstrate results and improved patient outcomes, ultimately reduce total costs of care to the entire system, and transform the culture from volume to value. Being on the leading edge of this new world of medical industry collaboration is part of what attracted Belden to TUHS. He recently joined the academic health care system and is excited about the potential of the agreement with GE Healthcare. He cites knowledge of the agreement as one of the reasons he was interested in joining the TUHS team. He believes that agreements like this will help radiology departments find ways to maximize the value they provide to health care systems. "We need to find ways to make radiology services cost-effective," he says. "Unfortunately, with radiology, we've allowed ourselves to be labeled as a high-cost, overused service. Radiology can make diagnosing and treating medical conditions a much less costly endeavor. Patients can receive the appropriate care sooner when appropriate imaging is used to make the diagnoses more efficient. Agreements like the one we have with GE will help us deliver more value to our health care system."